The Chrysler 300M Enthusiasts Club is the only club of its kind devoted exclusively to the owners and potential owners of the Chrysler 300Ms and other LH Platform vehicles. Sure, there ARE other Internet forums and Internet owners clubs dedicated to 300M owners, but we ARE and will continue to be more than just an Internet forum. We maintain a strict code of family friendly decorum, so ladies and children may feel free to join in (and they do) with the assurance that they will be treated with courtesy and respect. Our web site contains links to many important information sources, from parts and accessories retailers to many different how-to documents. Many of our members have modified their cars, both to enhance performance and to personalize them to their own taste. You will have immediate access to detailed information on doing any of these modifications to your 300M. Which includes a forum to post pictures of your car and also a Knowledgebase Forum which has many step by step detailed repair procedures–many with descriptive pictures to help you complete your own repairs and save money. It is not easy maintaining a vehicle that ended production in 2004. On our forum our members have amassed a treasure trove of knowledge, good and accurate repair and maintenance practices to keep your “M” alive and well. Many step by step “How To” topics with pictures to help guide even the novice thru DIY tasks. Our knowledgebase is extensive and offers access to experts in maintenance, modification and everything in between. We hold a number of regional and national meets each year where members can meet, socialize, and celebrate together. Some of these meets feature awards that highlight the fine work that our members have put into their cars and every paying member in attendance is eligible for such recognition. Other events are exclusive to maintenance and working on your cars. All gatherings include meeting other enthusiasts, swapping stories, and gaining friends! We have exclusive club logo merchandise (hats, apparel, drink ware, phone case, etc.) available for purchase by club members only through a partnership with Queensboro. Choose from a wide away of options to show your club pride. The Ride of the Month contest is open to any paying member of the club and aims at showcasing some of the finest cars in the club. Each month four members’ cars are posted in a poll allowing other members to cast their vote for their favorite. At the end of the voting period the winner is announced and they get to be featured in the club calendar for the following year. At the end of the year all twelve winners are entered into the Ride of the Year (ROY) contest and the winner is featured on the calendar cover and receives a special club award. See our current Ride of the Month winner on the homepage. Social media is always at your fingertips and the club has a presence on all the major platforms. Quick updates on meets, cars, and other club news are posted and easily accessible to all followers on the go. Each paying member of the club is given their own online folder to store pictures of their car. The club uses Fotki for photo storage and the members can upload their own photos whenever they want. Each paying member of the club can post items for sale in the Buy Sell Trade section of our forum. There is no better place to sell a part for a 300M or other LH vehicle than on a site that is dedicated to this LH platform. We offer this incentive to paying members only for the security of the people who purchase the parts. The club is a non-profit but also supports charitable organizations through the implementation of a donation matching program. As a member you are able to suggest what charities the donations should be made to. 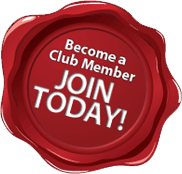 A membership to the club costs $14.95 for one year and you receive all of the benefits above. Renewals costs only $9.95 per year after that. Click the here to join the club.